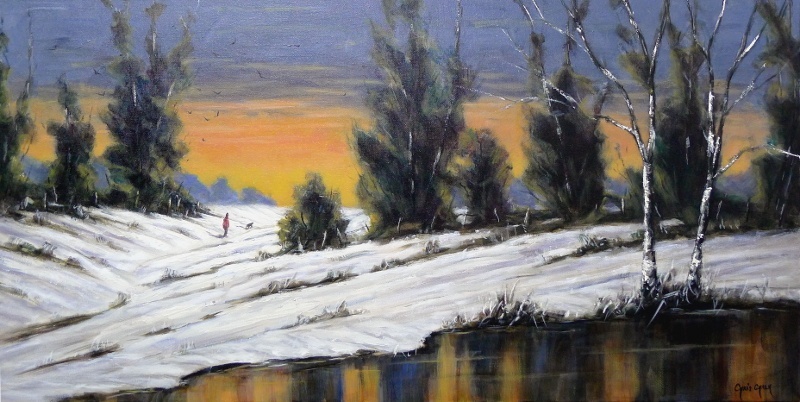 A warm winter painting painted in a loose impressionistic style using lots of buttery paint. There's nothing better than going for a long walk on a winter's day when there is snow on the ground, especially when there is a beautiful sky to guide the way. 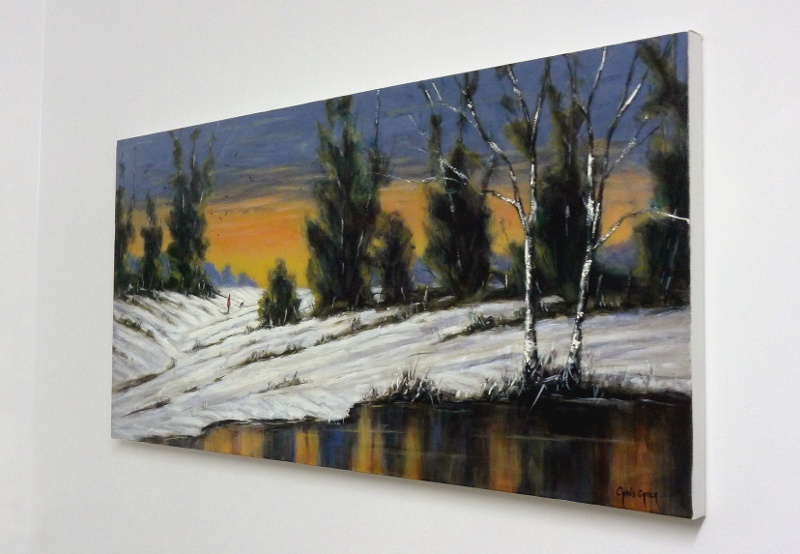 "The Warm Glow Of Winter"
Painted on Loxley Gold box canvas, 40 inch x 20 inch x 1.25 inch - This painting can be framed, or hung un-framed as shown.